Falstaff Cottage at Oldcastle Cottages in Colwall, near Great Malvern sleeps 4 people. 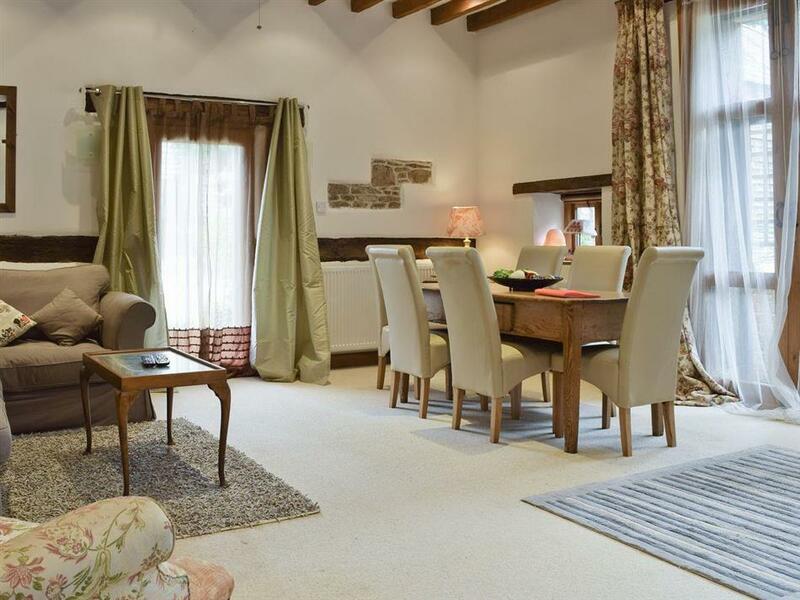 Oldcastle Cottages near Great Malvern is set in 10 acres of the owners private land, in an idyllic rural location overlooking the Malvern Hills; these three well-appointed stunning cottages. Each boasts a garden with views over the landscape and extensive well-designed gardens, lake and ponds. Situated on the Oldcastle Estate, close to the beautiful village of Colwall with great pubs, restaurants and shops all within easy reach. Family and friends will enjoy Falstaff Cottage, a two bedroomed property with it’s own private hot tub. Lovers Cottage is a 15th century, one bedroom cottage, secluded on the edge of the grounds with a hot tub and large garden, ideal for couples looking for a romantic getaway. For a larger group, stay in the beautiful Hot Tub Cottage, a three bedroomed property in a private quiet setting on the estate. Enjoy days out in the numerous picturesque towns and villages nearby including Malvern, Upton-upon-Severn known for it’s annual festivals throughout the summer, Cheltenham Spa with it’s famous racecourse, the picturesque market towns of Ledbury and Ludlow and the cities of Gloucester and Worcester. There’s so much to do from walking and cycling in the hills, visit the Elgar Museum, take a trip to vineyards and cider producers or simply relax and unwind in the beautiful countryside setting. The shop and restaurant are 1 mile, with the pub ½ mile from Oldcastle Cottages near Great Malvern. Living/dining room: With wood burner, 32’’ Freeview TV, DVD player, iPod dock, double sofa bed (for flexible sleeping arrangements) and beams. Kitchen: With gas cooker, microwave, fridge/freezer, dishwasher and tiled floor. Bedroom 1: With super kingsize bed and beams. Gas included. Enclosed garden with garden furniture. Hot tub for 6. Parking for 2 cars. All properties (refs UKC530, UKC531 [Lovers Cottage], UKC532 [Hot Tub Cottage]): Oil central heating, electricity, bed linen, towels and Wi-Fi included. Initial logs for wood burner included at Oldcastle Cottages near Great Malvern, remainder at small charge per basket. Welcome pack. Shared laundry room with washing machine and tumble dryer. Shared 10-acre grounds. No smoking. NB: There are unfenced ponds and a lake in the grounds. Holidays at Falstaff Cottage, Oldcastle Cottages run from Friday to Friday. For a better idea of where Oldcastle Cottages - Falstaff Cottage is, you can see Oldcastle Cottages - Falstaff Cottage on the map below. 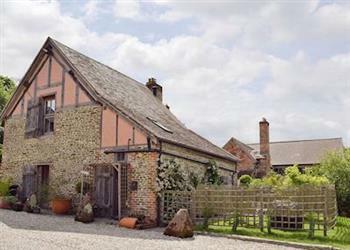 Oldcastle Cottages - Falstaff Cottage is in Herefordshire; should you be on the lookout for a special offer, you can find all the special offers in Herefordshire. It's always worth checking to see what is on offer at the moment. Do you want to holiday near Oldcastle Cottages - Falstaff Cottage (UKC530), you can see other cottages within 25 miles of Oldcastle Cottages - Falstaff Cottage; have a look to find your perfect holiday location.